The Proud to Be First – LEAD program is only open to first-generation CAS students. 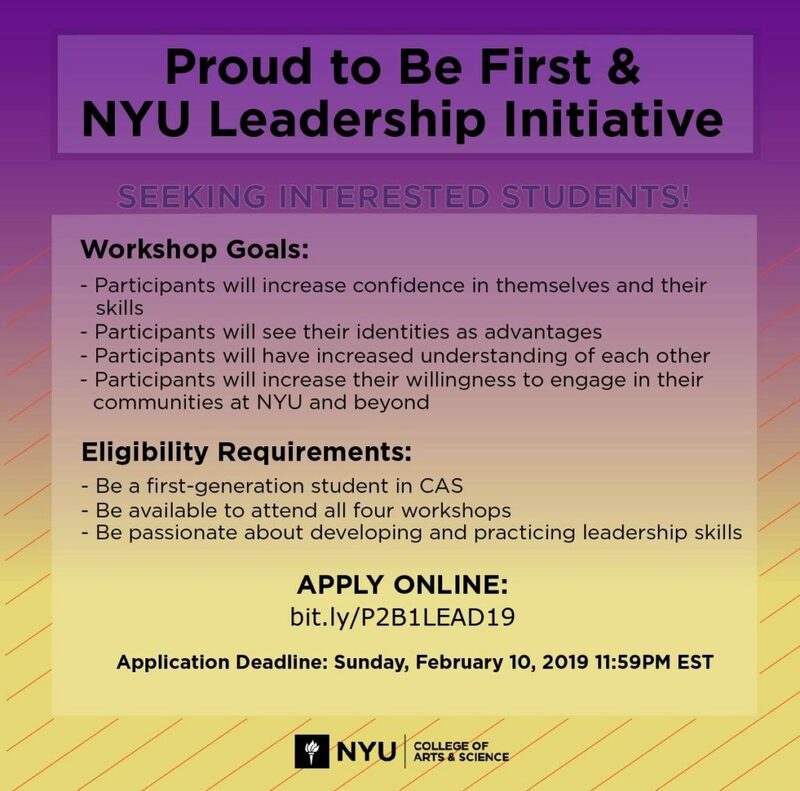 It consists of four experiential workshops customized to support first-generation college students to develop a powerful leadership presence and the ability to match leadership styles to leadership challenges. CAS Proud to Be First – LEAD seeks to engage, educate, and foster growth as it supports the development of first-generation students into fearless leaders who will openly share their stories and lead with confidence. The workshops will be held on four Tuesdays in February and March, from 4:00 to 6:00 p.m. The application deadline is Sunday, February 10, 2019 at 11:59 p.m EST. Interested students can learn more and apply here.